Managing your Operations. Quick, no hassle ideas you can use to move product more quickly and accurately through your warehouse or distribution center. Managing your Staff. Low-cost, high-return ideas to boost morale, motivation and productivity. Special Discounts. 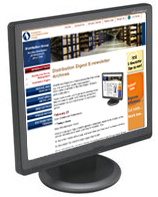 As a member of the Distribution Group community, youll receive special offers and discounts on newsletters, books, training and support materials.